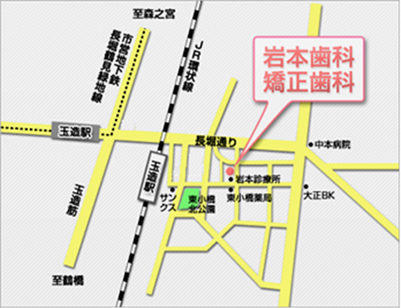 There is a map in front of the ticket gate. Passing the ticket gate, please turn right in front of McDonald's, then turn right in front of Narutoya, and turn left (east direction) in front of Sankus(convenience store). Please go straight passing a small park and a pachinko(pinball) parlor on the right hand side of the street. When you come to the 3rd crossing, turn left. 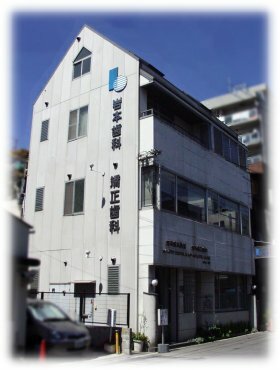 On the left corner of the 3rd crossing , there is the Iwamoto Medical Clinic. 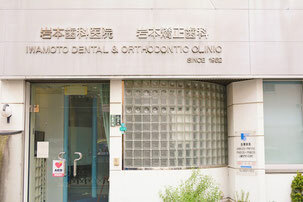 The next building is Iwamoto Dental & Orthodontic Clinic .